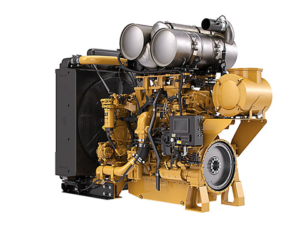 Puck Custom Enterprises (PCE), a leading manure application equipment manufacturer located in Manning, Iowa, is now offering Caterpillar Tier 4 Final, Stage IV engines in its pump units. While the move to the decreased emissions of Tier 4 engines is government mandated, PCE leaders said that the new offerings will make its machinery run even better for applicators who use it. The Cat Tier 4 Final, Stage IV engines have a strong selling point — they boost engine power while saving fuel and reducing emissions. Precisely engineered injection timing and an innovative air management system result in an efficient fuel burn that enhances power and is better for the environment. PCE is offering several different Cat engine styles throughout its products: C7.1 L 300 horsepower, C 9.3B 456 horsepower, 13L 543 horsepower and 18L 755 horsepower. “We work with our equipment ourselves, so we know what our customers are looking for in their pump units,” said Ben Puck, the CEO of Puck Customer Enterprises. “We’re excited about how these Cat engines will help applicators upgrade their machinery in every area, from efficiency to power to reduced emissions. Puck added that the reliability and serviceability of these engines will lower maintenance costs for many customers. Within the industry, Puck Custom Enterprises already has a reputation for producing high quality products, and these new engine offerings are poised to boost the performance of their existing equipment.